One of my favorite activities is playtesting. There are many reasons for this. First and foremost, it’s an opportunity to play games, and usually new-to-me games at that, an experience I really enjoy. But unlike playing a published game, there’s often an opportunity to influence the game design, such that above and beyond the opportunity to have fun playing the game, there’s the chance to provide useful feedback and just to think about and discuss the game. And sometimes, there’s the opportunity to play a game from an unpublished designer. That element of chance isn’t a positive for everyone – I know many people who consider it a drawback because you have no reference for how well the designer’s efforts will match your taste. But what better way to discover a new designer to watch? Such was the case with Greg Daigle whose name I’d heard through game design forums. 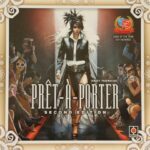 I had the chance to play one of this designs with him in 2007. It was an interesting design with a great theme and showed real potential though I thought it wasn’t quite there. 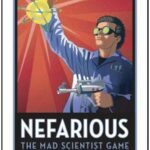 Then in 2008 and 2009, I got to play a game with a few similarities though two very different themes. I thought the game had potential, though it also had elements that I found frustrating. I did like the theme of Hawaii on the 2009 version though. When I heard that Hans im Glück was bringing the game out, I was somewhat optimistic. 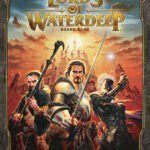 Bernd Brunnhofer is one of the most talented game developers and I was sure that he’d have helped Greg to get the most out of his design – and perhaps even make a game that would be a good fit for me. 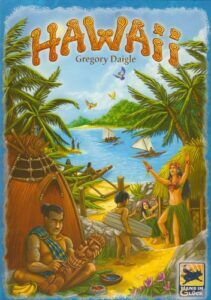 In Hawaii, players take on the role of chieftains, granted land by the island king and trying to prove their value by developing their villages. Each player has his or her own land starting with a single hut in a single village. The game is played out over five rounds. During each round, players receive resources and take turns moving around the main island and completing various actions. Most of these actions consist of purchasing tiles to improve their villages. There are between zero and three tiles of each type available each round, set via counters distributed at the start each round. Tiles can either be purchased at the base cost or a better version can be purchased at twice the base cost. Regardless of which version is purchased, the player collects the cost counter. Players must use two resources: feet to reach particular tiles, and shells to purchase tiles. The first type of tile available is huts. Huts, in addition to providing various capabilities, are the only tiles which can be used to start a new village. There are five types of huts. Shell huts provide additional shells each turn, which are the currency used to buy tiles. Foot huts provide additional feet each turn; these are used to move around the board, and to utilize boats. The shield hut gives victory points for certain marked cost counters. The trading hut allows a player to use one type of good as another each turn. Finally, the long hut makes it easier for a village to score, as it occupies more spaces than any other tile. The next type of tile available is fruit tiles. There are four different types of fruit tiles which, because players can only have one tile of each type in a village, allows players to have a lot of fruit tiles. These tiles produce fruit, the third and final type of resource in the game. Fruit can be used in place of shells or in place of feet – but they can’t be mixed with the other resources. Related to fruit tiles are irrigation tiles; these provide victory points at the end of the game based upon the number of different fruit tiles in the village. There are three additional types of tiles which are added to villages. A hula dancer scores points for each tile in the village. There are six types of god tiles, two offering victory points at the end of the game while others provide various advantages during the game. Unlike other tiles, players can only have one of each god anywhere in their villages and only one god per village even of different types. Surfers help players to meet the requirement at the end of each round for earning victory points. Normally, the costs of the tiles a player acquires are added and all players above a minimum earn points with the top two eligible players receiving a bonus. Surfers lower the minimum to score a bonus – but don’t add to the player’s total. As an alternative to surfers, players can acquire ships, which are used to reach remote islands and earn rewards. Finally, there are two types of pieces that only matter for scoring at the end of the game. 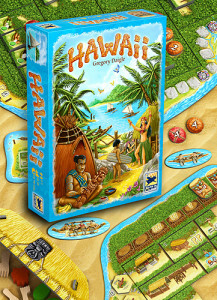 Each village must extend as far as a tiki (a Polynesian stone humanoid carving) in order to score at the end of the game; more tikis can be acquired throughout the game to make this easier to achieve. 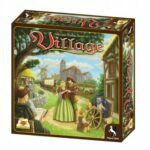 Kahunas (village “experts”), in contrast, are simply a way of earning victory points; a kahuna next to a scoring village earns between 5 and 15 victory points. In addition to growing villages, players can go fishing or explore distant islands. The amount of fish available varies significantly from one round to the next but they offer a method to meet the end of round bonus requirements using feet rather than the usual shells. The distant islands also require feet but also boats; the small boat players receive to start the game is not sufficient to reach any of these islands. Reaching a distant island earns victory points and some bonus capabilities. 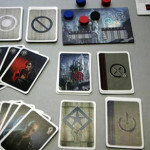 If a player has completed all the actions they desire, they then choose their turn order for the next turn, trading off an early position with additional price tokens with which to meet the bonus requirements. After the fifth and final round, end of game victory points are awarded and the player with the most points wins. 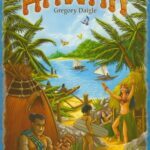 Having played the prototype of Hawaii, I didn’t know quite what to expect with the published game. 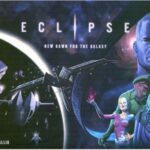 I first had the chance to play it shortly after Essen last year, and my initial reaction was positive but uncertain. The game was better than I had remembered it but not necessarily good enough to be a keeper for me. Still, it had enough of a spark to pick up a copy when it became available in English, and – it grew on me. The critical change made by Hans im Glück, as I understand it, was the option of paying twice as much for a better tile. This added a critical decision to the game, and gave it the additional spark the game needed. Of course, the only reason this made such a difference is that Greg had built a strong base for the game. The randomization of costs each round, while a little fiddly, helps tremendously with variety within the game; the randomization of where tiles can be bought from one game to the next leaves players with the option of always playing the game the same way but prevents that from being a strong choice. Having to play each game a bit differently isn’t required for a game like this, but it certainly helps. One concern I had with earlier versions of the game was that some items were only available in a single location, potentially leaving players with no opportunity to secure them without giving up too much. This was nicely addressed in two ways: first, by adding the islands, which provide another alternative to getting certain in-demand tiles and second, via the turn order mechanism which provides interesting trade-offs between taking tiles to meet or win the bonus point requirement for the round and an early position in the next round. Overall, the net result of all of the development work is a game which I’ve enjoyed a bit more with each subsequent play. Thematically, the game is a fairly typical European game, albeit one with a less frequently visited subject than most. All of the elements fit it well thematically, but it doesn’t feel like a simulation of anything in particular, and certain game elements don’t really support the theme. 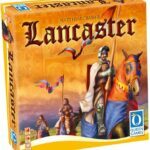 The production is very nice, though, which always helps, and at a retail price of $40, the game feels very affordably priced compared with other recent releases. 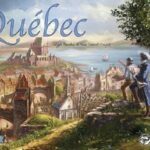 The game is fairly complex for a family game – not so complex as to prevent the game from being recommended by the Spiel des Jahres jury, but complex enough that the Rio Grande recommendation of the game for those 13 or older doesn’t feel unreasonable. 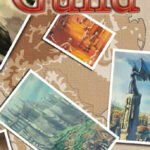 The complexity isn’t in the rules – there’s a fair bit to get through, but everyone I’ve played with has picked the rules up without difficulty – but in the planning; there are a lot of options available each turn, and an even wider set of choices for each round. The randomness does add some real luck to the game – going first in the round, in particular, varies significantly in how valuable it is – but good play seems to strongly outweigh good luck in the results.